Jared's seventh volume of poetry, The Graves Grow Bigger Between Generations, is currently available from Higganum Hill Books at "www.ipgbooks.com" as well as at Amazon & Barnes & Noble. I has just been nominated for both The Tufts Award and The Pulitzer this fall. His previous six critically acclaimed volumes include: Where Images Become Imbued With Time ( Puddin'head Press, Chicago, 2007); Lake Michigan And Other Poems ( Puddin'head Press, Chicago, 2005); Walking The Perimeters Of The Plate Glass Window Factory ( Birch Brook Press, New York, 2001); Keeping The Outlaw Alive ( Erie Street Press, Chicago, 1988); Dark Wing ( Charred Norton Publishing, New York, 1984); and Song Of The Blood: An Epic (The Smith Press, New York, 1983). Jared's Song Of The Blood is now availble as a free-to-read e-book. His first CD, Seven Minutes Before The Bombs Drop, was released by Artvilla Records in 2006, with original music performed by David Michael Jackson and Andy Derryberry. (You may enjoy some free excerpts from this CD at www.mp3poetry.org). His second CD, Controlled By Ghosts, was released by Practical Music Studio in combination with CD Baby in October '07, with music by alternative jazz composer Lem Roby. Both CDs can be downloaded in whole or in part via any digital download service worldwide. Jared has had hundreds of publications in literary journals across the nation over the past 30 years, in addition to several foreign countries. 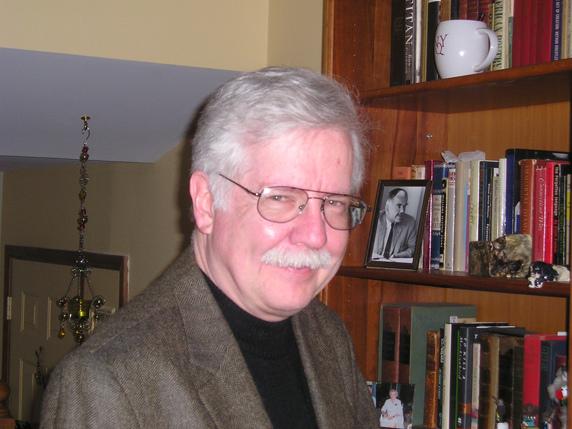 He has published reviews of the works of such major contemporary poets as Ted Kooser, C.K. Williams, and W.S. Merwin, as well as several craft interviews, including one with Ted Kooser that was translated into Chinese for republication in Taiwan and Mainland China. Jared's work has also been adapted to stage in both New York and Chicago. Jared Smith's poems, essays, and literary commentary have appeared in The New York Quarterly, Confrontation, Spoon River Quarterly, Kenyon Review, Bitter Oleander, Small Press Review, Greenfield Review, Vagabond, The Smith, Home Planet News, Bitterroot, Rhino, Ibbetson Street Press, Wilderness House Review, After Hours, Poet Lore, The Pedestal, Second Coming, The Partisan Review, Somerville News, Coe Review, U.T. Review, The Iconoclast, Trail & Timberline, and many others. He has also been on National Public Radio and Pacifica. He has given readings, workshops, and classes at colleges, schools, libraries, and coffee houses around the country. Jared Smith is a member of The Academy of American Poets, Illinois State Poetry Society, and The Chicago Poets' Club, and past President of Poets & Patrons in Chicago. He is listed in Marquis Who's Who In America, among other reference works, and has been listed among the authors in Poets & Writers Directory since its inception.